Situated close to Arundel Cathedral and Castle, this spacious apartment is part of a unique flint fronted Grade II listed building and enjoys VIEWS OF THE COUNTRYSIDE. There is private PARKING in a CARPORT and a communal garden perfect for relaxing on long balmy evenings with friends. The property does require some updating but we feel this would be minimal due to size. Offered for sale with NO FORWARD CHAIN, this one bedroom GROUND FLOOR flat is ideally located with the BEACH and promenade just a few yards away, as well as town centre shops and amenities. 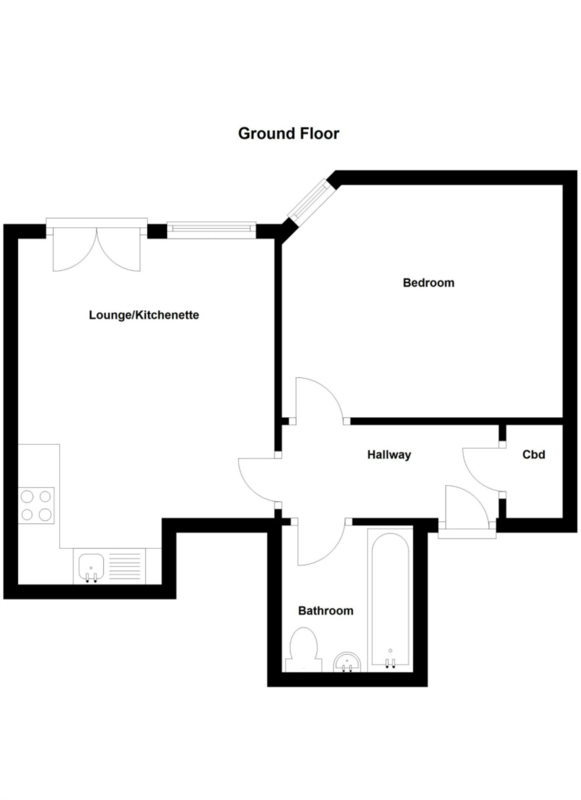 Modern fitted kitchenette, white bathroom suite and double glazing throughout. Viewings are recommended. Full Description Offered for sale with no forward chain, this one bedroom ground floor flat is located just a few yards from Bognor seafront, promenade and the town centre shops. The property has a fitted kitchenette and white bathroom suite with double glazing throughout. Previously rented at £600 PCM, the property is a great BTL for landlords or a sound proposition for first time buyers. Viewings are recommended. Bedroom 13' 0" x 12' 6" (3.97m x 3.83m) to the front of the fitted wardrobes. Lease Information The vendor informs us that there are 111 years remaining on the lease, the ground rent is £100.00 pa and the current maintenance charge is £1506 per annum. We have not sighted documents to evidence this and advise that should you proceed to purchase this property this should be checked by your conveyancer.